TL; DR: Since 2005, organizations have been turning to Mendix to help accelerate their software development projects. The company’s user-friendly app builder allows for seamless collaboration across departments — from IT teams to business consultants and marketers — effectively closing the communication gap between stakeholders. Today, more than 40,000 professionals and 4,000 organizations use the platform to create and deliver applications without the need to code. And the company’s newest release, a fully customizable language for interface design, shows Mendix has no plans to curb its commitment to innovation. A little innovation in mobile technology can go a long way to fuel business growth. Take, for example, a large energy company’s proverbial light-bulb moment — the realization that, with the help of a mobile app, it could combine its crew’s maintenance trips with routine quality checks. Through a simple push notification, field maintenance teams could be notified if they were near a site requiring a quality check, cutting down on the number of trips and increasing productivity. 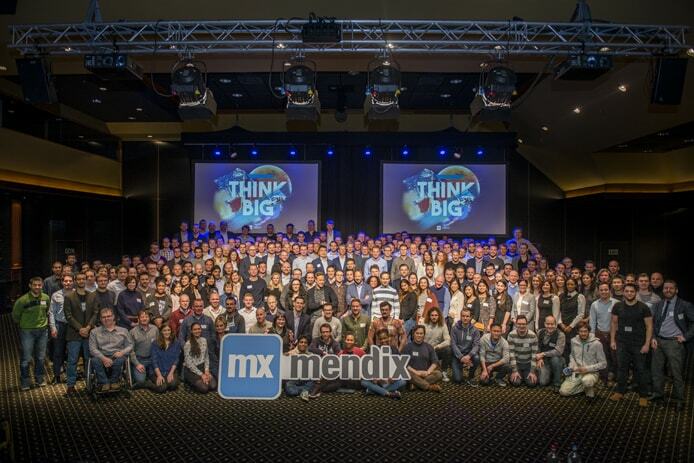 The flash of insight was promising, but the company needed the technology to back it up, so it turned to Mendix. Using Mendix’s intuitive app builder, the energy company created the software in a swift 12 weeks, eliminating a majority of routine maintenance trips that crew members could now perform while on requested service calls. “There are many examples like these, where the power of ideas and technology come together to have a tremendous impact on a business,” the Mendix Tech Evangelist Team told us. The Mendix team is dedicated to helping businesses ease application builds through its low-code development platform. In fact, Mendix helps more than 4,000 organizations in a variety of industries — from insurance and financial services to education, logistics, and manufacturing — intuitively build and deliver apps without coding knowledge. 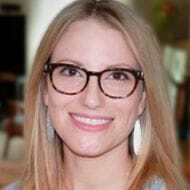 “A low-code application platform provides users who may not have extensive application development knowledge or experience with the ability to more effectively provide input and iterate on the development of the application,” a team member said. As a result of Mendix’s low-code approach, a broader spectrum of users can take part in the development process. This way, all stakeholders of an organization, from business experts to professional developers, have a say in how mission-critical apps are constructed and what problems they will solve. 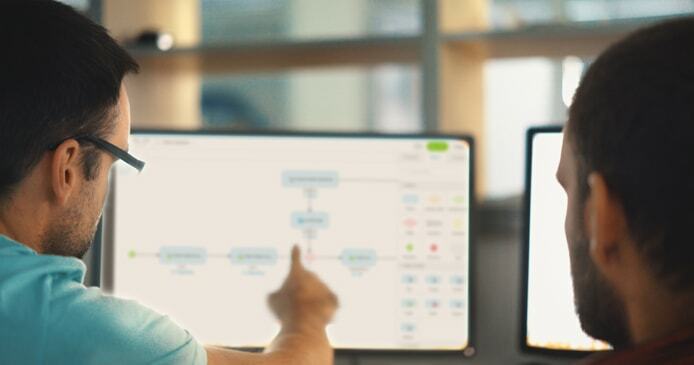 Today, Mendix has emerged as a leader in low-code development platforms, empowering more than 40,000 professionals to digitally transform their organizations. With endless iterations, including the recent release of an interface design language, the company continues to enable quick and painless app development for a variety of businesses. The low-code application development market may be well established today, but, when Mendix entered the industry in 2005, it was one of the first companies to do so. Often, those pain points are rooted in communication problems between departments. It can be difficult for business teams to translate their needs into the specific requirements developers use to build an application. And even when a business user is able to articulate its requirements, traditional application development can take weeks or months. By facilitating communication between stakeholders, Mendix streamlines and speeds up development processes. Mendix was founded to address these challenges, speeding up app development to close the gap between business and IT stakeholders. According to Mendix’s team, in those early days, many IT leaders were skeptical that low-code application development was possible. But it didn’t take long for the company to secure early customers and prove its capabilities. “Mendix is now being used by hundreds of organizations around the world to build sophisticated applications that address internal operational efficiency, improve customer experiences, and launch new products,” a team member said. And organizations using the platform are seeing results. The team member told us organizations that go the low-code route use 70% fewer resources and create apps 10 times faster than those using traditional approaches. “The time and resources saved can then be dedicated to solving other issues within business units,” a team member said. In recent years, the app development and delivery (AD&D) market has matured, with companies, including Gartner and Forrester Research, now ranking providers of low-code platforms. “Both firms have identified and started reporting on distinct markets, including mobile app development platforms, high-productivity Application-Platform-as-a-Service (APaaS), and low-code app development, all areas in which Mendix is recognized as a leader,” a team member said. Forrester’s recent report, which highlights how low-code platforms accelerate application innovation and delivery, ranks Mendix as an industry leader for its innovation and breadth of features. “Mendix continues to innovate in new use cases and deepen its features across the board,” wrote the authors of the report, adding that the company’s decision to base its low-code environment on Cloud Foundry resulted in large dividends when SAP adopted the vendor’s platform for use worldwide. “That partnership is the first by one of the four largest enterprise vendors (IBM, Microsoft, Oracle, and SAP) with a low-code platform vendor and should accelerate Mendix’s already substantial growth,” the report continued. Mendix continues to update its platform to ensure usability for a variety of businesses. The company’s Evangelist Team is committed to listening to its customers’ pain points surrounding application development. “We take the real-world issues discussed in those conversations to make updates and adjustments to those capabilities to ensure that are providing the best tools for clients to create and deploy apps successfully,” a team member said. Mendix’s web modeler enables cross-departmental collaboration and ensures all parties have a say in the final product. While the company’s decisions are ultimately based on providing clients with the solutions they need, Mendix also keeps a close eye on the market. 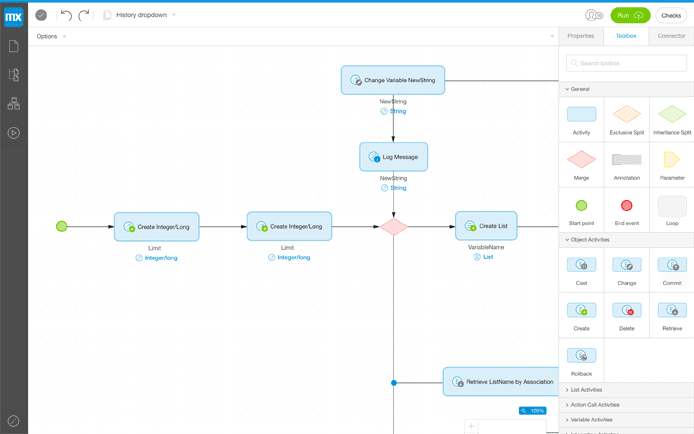 Mendix employs an agile methodology that focuses on rapid iteration in real time. And, as one team member told us, low-code app development makes quick and simple deployments a reality. The company’s newest release, Atlas UI, is designed to enable those without frontend development or design skills to create beautiful, engaging, and highly usable user interfaces. “With Atlas UI, an organization’s UI/UX team can define a standardized design language to promote design best practices across multiple, autonomous dev teams,” a team member said. The offering consists of three elements — the Atlas UI Framework, Web Modeler, and Mendix App — all of which work seamlessly with the company’s low-code platform, providing a user-centric approach to interface design. A series of templates and building blocks accelerate interface creation, though users may choose between predesigned and custom themes. “We’re eager to see how enterprises take the user-centric capabilities within the Mendix platform to build beautiful apps to address individual business problems,” a team member said.